We've recently undertaken the task of upgrading our home theatre audio equipment. 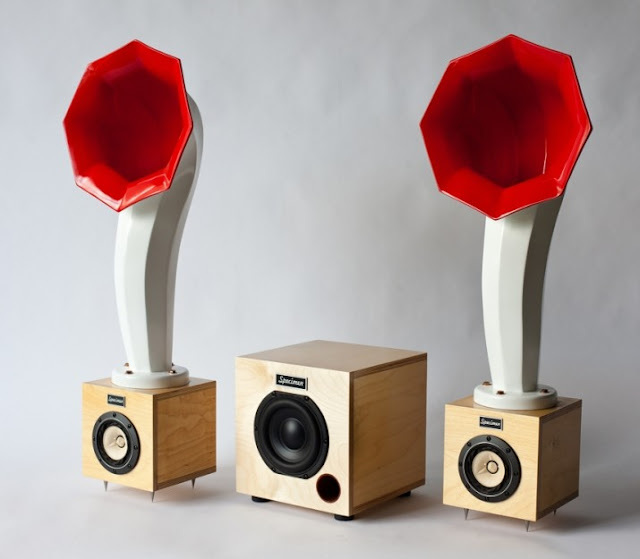 We are quite happy with amplification, so we are focusing our energy on the hunt for some new speakers. Suffice to say by the image shown above, we have accomplished that task and then some. Not only do they look ridiculously good, they have the chops to appeal to audiophiles. If you are interested in learning and seeing more...please go here.